Supervisors, on average, spend 30% of the time developing reports for managements to provide information to develop an overall view on business trends. 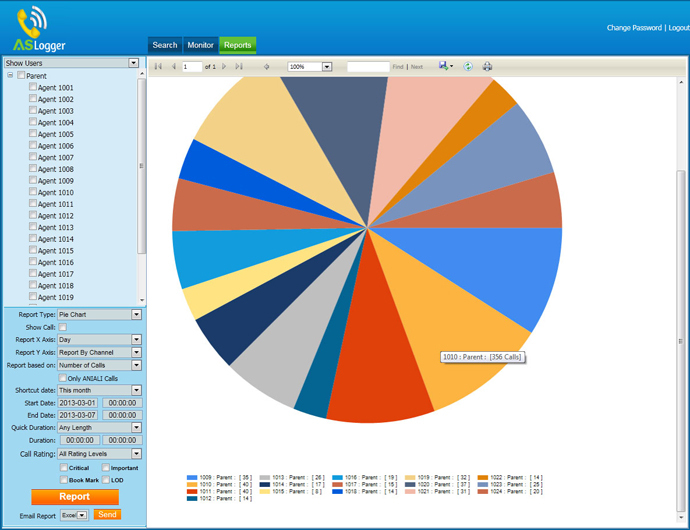 ASLogger reporting module allows a variety of reports that help cut this time down. Finding ways to reduce the amount of time a supervisor spends in obtaining and re-formatting this information is critical in shifting their focus to your customers. Reporting system generates custom reports based on user input. 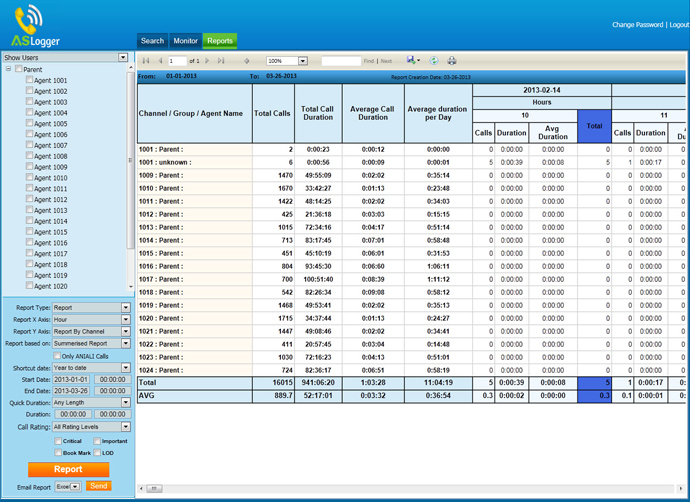 You can generate custom reports in tabular and graphical format.